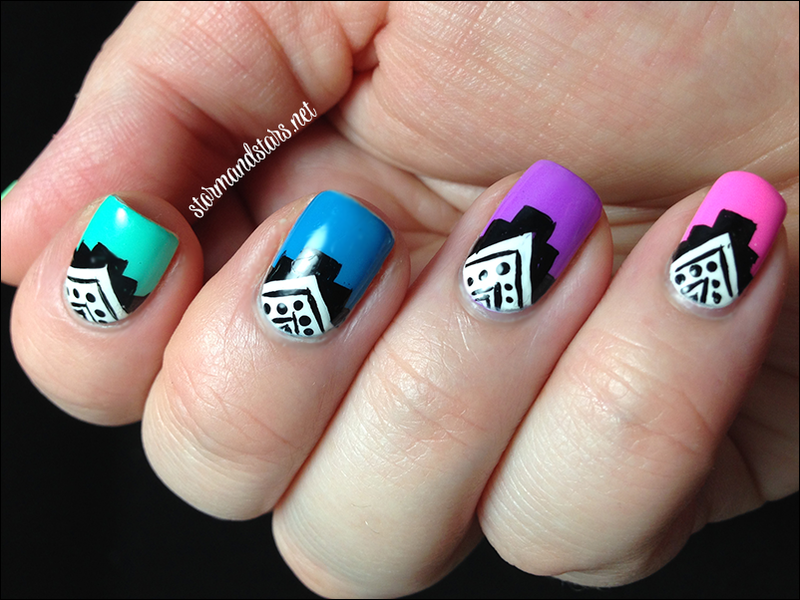 I have some fun summer nail art for you all today and a very rare sighting of my Cinderella hand! I was pulling rainbow neons out of my Melmer to use on my toes in an ombre, and I started to think that maybe I wanted the colors on my fingers too. I kept looking at them and decided to go for it! 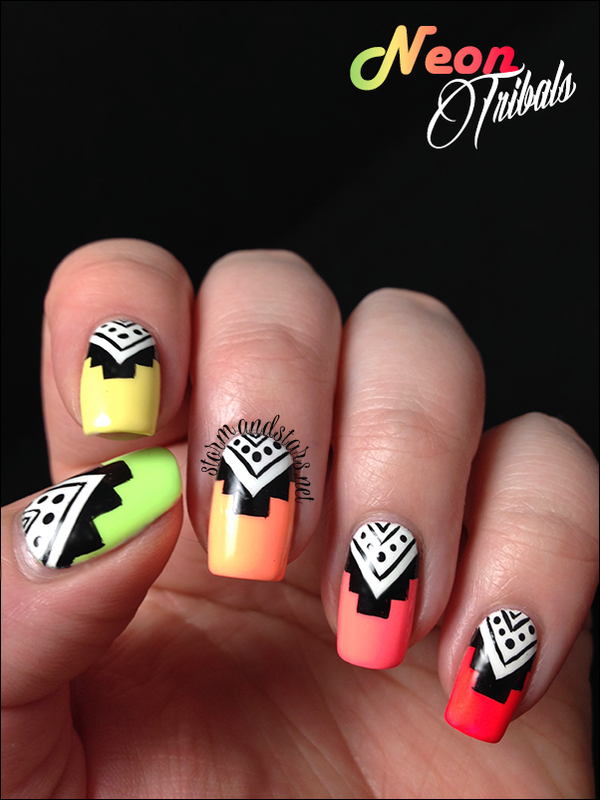 After applying the neon colors I added a black and white tribal design and here is the result! What do you think?! I am soooooo happy with how they came out! I started with a base of OPI Alpine Snow, which is my favorite white creme, before adding the neon colors because I wanted them all to really pop. 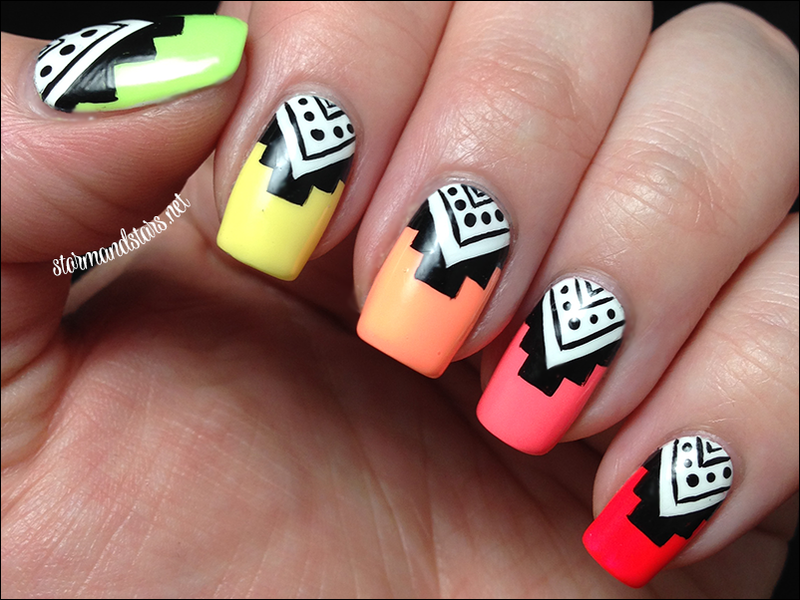 For my left hand (this one) I used the following colors. 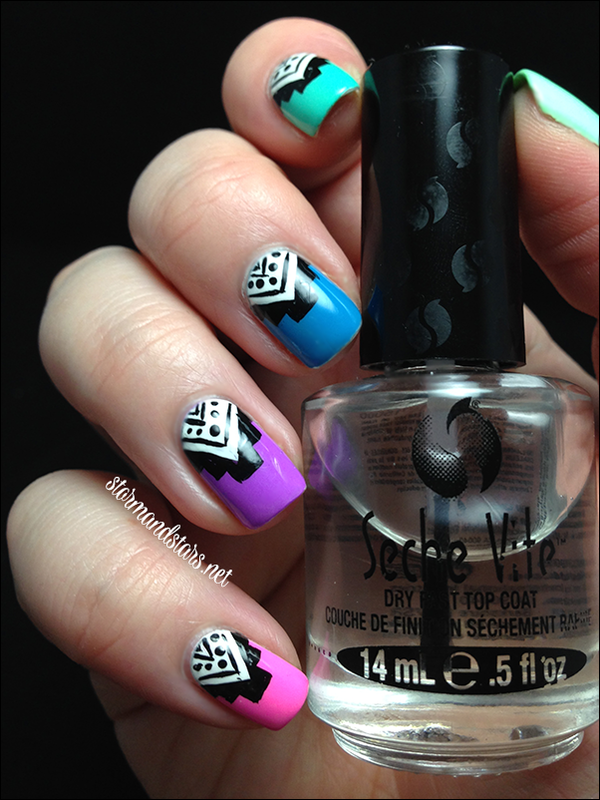 After I let the neons dry for a bit, I added the black and white tribal design using my black and white Stripe Rite stripers. I used a thick coat of topcoat to smooth it out and make everything really shiny. 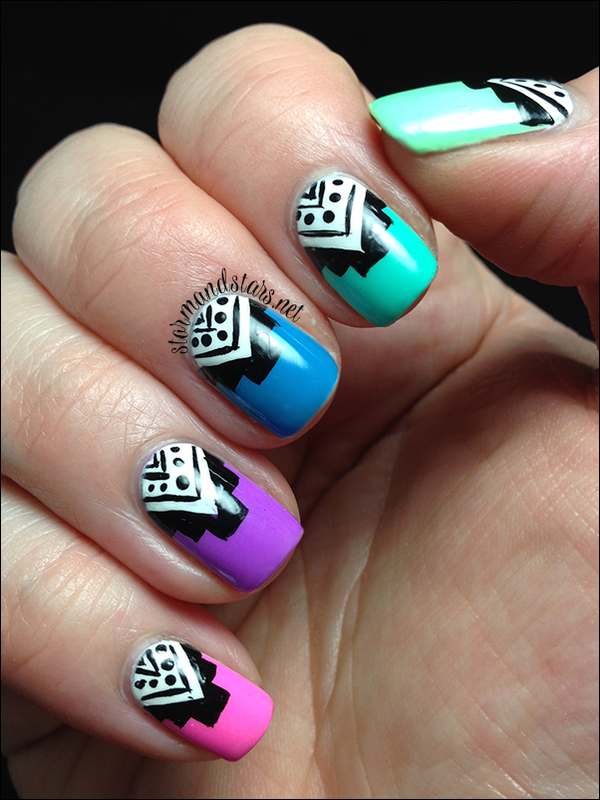 For my Cinderella hand (my right hand) I used the same process but with different colors. 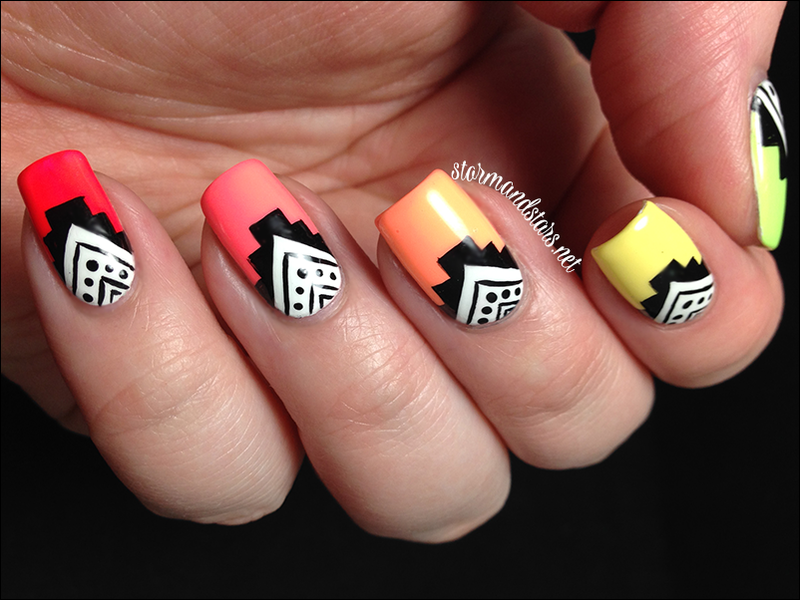 This was my first try at a tribal design and even though it is really simple I am definitely happy with the results. I'll be coming back to this style soon for sure. I hope you enjoyed my nail art and the quick glimpse of my Cinderella hand! Wow! This is amazing! 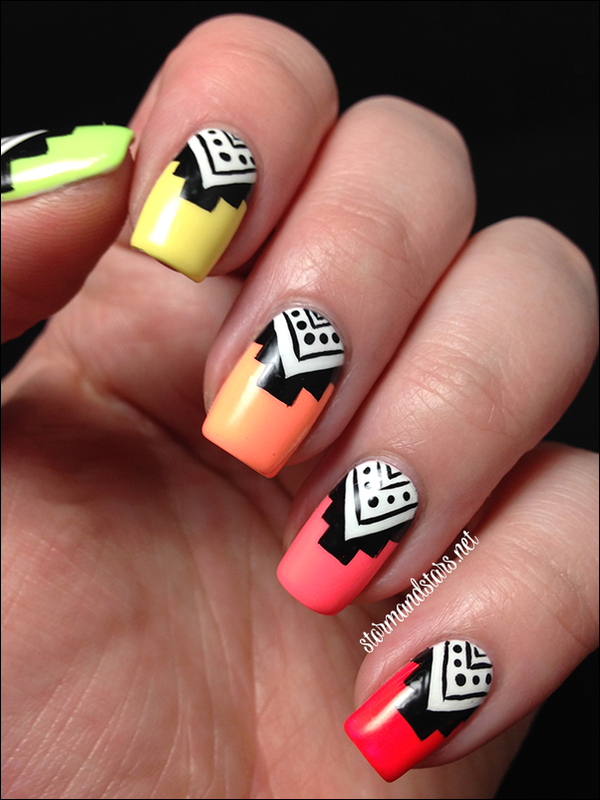 I really don't warm up to the tribal prints, may it be on nails or on clothes, but I absolutely love your manicure. Saw these on Instagram and literally squealed with excitement. 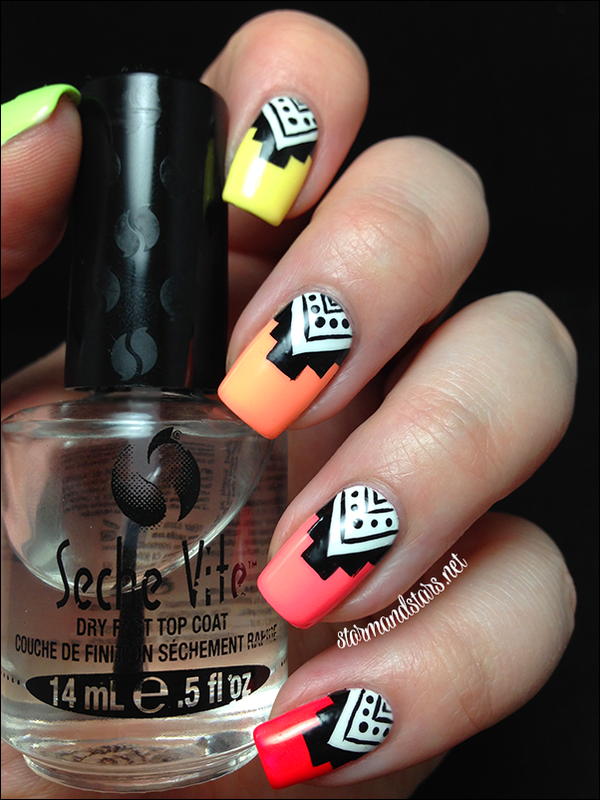 The contrast between the bright neon colors and the black and white tribal is just stunning. Well done!!! This is absolutely gorgeous! 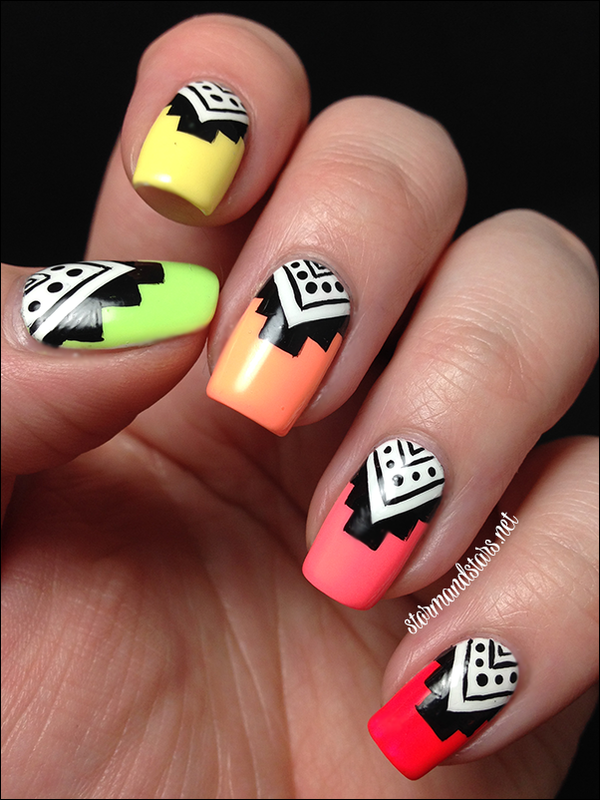 I have tried to make those kind of tribals once, but it was a total fail.